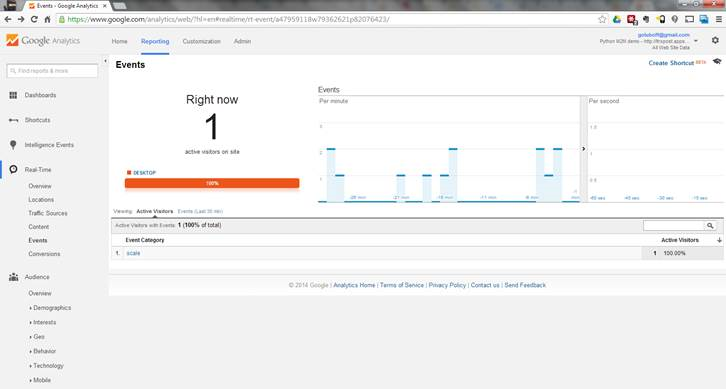 Google Analytics makes it easy to create custom dashboards to present data in the format that most helps to drive business processes. We’ve put together a solution that will make several of our devices (networking and remote access devices) easily configurable to enable delivery of end device data to Google Analytics. We use the Lantronix PremierWave family of devices to connect to an end device via a serial port like RS-232/485, or Ethernet, intelligently extract useful data, and send it to Google Analytics for use in M2M applications. To get started, grab the Pyserial module, and load it on your Lantronix PremierWave XC HSPA+. You’ll also want a device with a serial port that sends data you want to connect to Google Analytics. A digital scale like the 349KLX is a good choice. 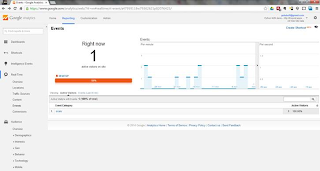 With the Measurement Protocol, part of Universal Analytics, it is now possible to connect data from more than web browsers to Analytics. 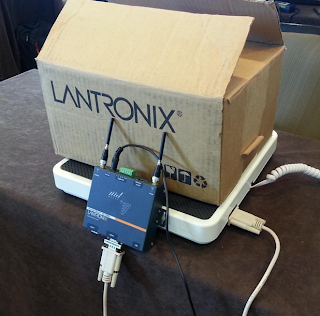 Lantronix integrated the Measurement Protocol by using an easy to deploy Python script. By being able to natively execute Python on PremierWave and xSenso devices, Lantronix makes it very easy to deploy intelligent applications leveraging Python’s ease of programming and extensive libraries. The demonstration consists of a scale with an RS-232 output, connected to a Lantronix PremierWave XC HSPA+. The Python script running on the PremierWave XC HSPA+ parses the data from the scale, and sends the weight received to Google Analytics, where it can then be displayed. The hardware setup is show in the picture below. The MAC address of the PremierWave device is used to send unique information from each device. Using Lantronix hardware, you can connect your serial devices or analog sensors to the network via Ethernet, Wi-Fi, or Cellular. Using Python and the Google Analytics Measurement Protocol, the data can be quickly and easily added to your custom Google Analytics reports and dashboards for use in business intelligence and reporting. The following is a guest post from Kurt Busch, CEO, and Mariano Goluboff, Principal Field Applications Engineer at Lantronix.